We clean ALL types of ovens including single ovens, double ovens, AGAs, Rangemaster, Rayburn Range. We also clean all models of extractor hoods, oven and stove hobs, and microwaves. We clean ovens for businesses such as property buyers and sellers, the rental market, letting agents and landlords. We specialise is cleaning ovens and cookers for the residential and domestic markets. 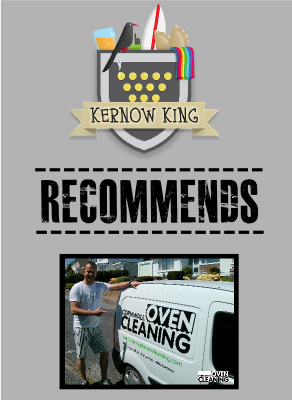 We clean ovens for all sorts of people throughout Cornwall – for example elderly people, mothers with young children, busy professional people, people who are selling their home, people who have just moved into a new home, people who rent their home, oven cleaning is one of the most unpopular household jobs. Dirty ovens can look and smell unpleasant. Little wonder that people of all ages and from all walks of life call us. The technician returns to the oven where our specially developed, caustic free formula is applied to the interior of the oven. Using our cleaning tools and some hard work, all traces of carbon, grease and fat are removed leaving the oven in an as new condition. The oven is re-assembled, polished and the exterior de-greased. 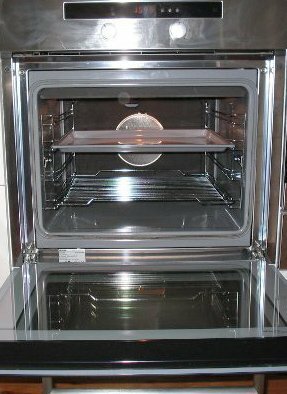 Stainless steel ovens/hobs and extractors are also oiled leaving a lovely polished finish. Extractor hoods also receive a free primary filter included in the cost if needed. No caustic chemicals are used at all. We value the health of our oven cleaners just as importantly as yours and as we use the products all day every day, we feel it is important that there are no harmful or toxic fumes. We ensure our work is carried out with minimal disturbance and what’s more, our bio degradable, caustic-free, eco-friendly oven cleaning solutions mean your oven and appliances are completely safe to use as soon as we’ve finished! Depending on the condition and type of oven this can take between 1 to 3 hours. All Cornwall Oven Cleaners are CRB checked and professionally trained in all types of oven cleaning activities. Our oven cleaners are also fully insured for public liability for £1,000,000.00.